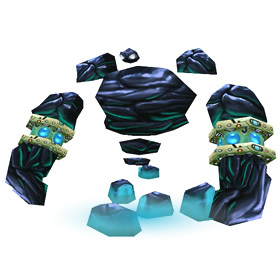 This pet is rewarded via the mail when your character completes the "Rock Lover" achievement. 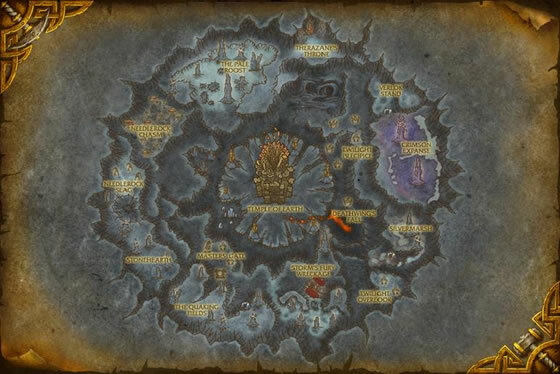 To complete this achievement, your character must complete the Therazane faction daily, Lost In The Deeps ten times. Upon completing this quest for the 10th time, you'll immediately receive this pet in your mailbox, sent by Dalaran's vendor, Breanni. Shame on me, I too lazy to do dat dailies fr this pet! What can I do with myself?! Just got this little buddy today. I started in mid-December while on Christmas holiday. For a solid month I never saw the quest, and server hop didn't help since no one does this content any more it seems. I was planning on submitting a ticket, but, and it may just be a coincidence, I finally started to get the quest regularly the day 7.1.5 update came out--multiple days in a row on 3 occasions. Still took four weeks total though, but it is possible to get. I will love him and call him Bambam. I have found the addon Cross Realm Assist addon very useful in getting this quest everyday. It took me at least 18 jumps today but I eventually found a server that had the quest (Zangarmarsh, actually). Just don't be dumb like me and not leave the raid group while trying to do the quest, and then have to do it again. In some shameless self promotion, I present my own video of how to obtain Pebble. Enjoy! i have now gone 9 days without the quest showing up. 1 more "saving" and I would get Pebbles. Is anyone else having issues, or has the pet been removed from game. Frustrating as the dickens. So, I take it you have to finish out the zones questline to have a chance to access the quest? What a chore Pebble is. FYI you can realm hop to pick up the quest and you can also share the quest with a friend. BUT !! It wont let you share the quest every day and it wont be available for you to realm hop to get it either. Seems like every 2nd or 3rd day you can accept the quest. Even if you get invited to a realm that has the quest available it wont show up for you if you did it the previous day. After sloughing my way through the 208 PRE-quests, who knew this would be so mindnumbling painful. So, anything, anybody? Bueller? Bueller? Bueller? Today Lost In The Deeps is up as the daily on Maelstrom. Been working on the quest now for 3 months have only gotten it 8 times honestly right now its driving me a little crazy. really wish that there was a faster way to do this. I read down the page and it seems others get the quest to come up faster I wish mine would. Hello fellow collectors! I have a horde toon ready for invites ..I will check my realm daily and add some battletags i see here. Please consider adding me - Lembasbane is the toon name :kingsfoiler#1479 battletag... I will also be completing the quests on the Ally side and I'll post here when available. Thanks! Alliance only at this time. just picked up the quest on Hellscream today!!! wooooooooooooooooooooooooooooooooooooooooooooooooo hooooo! finally! add me battletag id kiralayne@1272 I still have 9 more times to do it! Having battle tag/real id friends with 90s on different crz groups is helpful for obtaining this pet since the daily of the day can be different from one crz group to the next. You don't even need to stay in the group. Just have your friend invite you to a party (must be >= your combat level to work), pick up the quest if its available then leave the party to go back to your realm. You will be able complete it & turn it in. I did this on a pve toon with a friend who plays on a pvp server. Today, Thursday, 8/8/2013, and yesterday the daily is up...for those of you needing it. Finally got this after about three months.. good grief! I am so done with the daily diversion to Deepholm! I was shocked at the amount of health this little guy has.. He could be a real tank! H/H. At 25 he'll have almost 2k. Good luck to everyone still going for it... stick with it every day and it will happen! I have yet to see this Lost in the Deep daily, and I've been checking over a month. So frustrating, especially if we need to complete it ten times to get the achievement and the pet. *edit: I submitted a ticket. Not sure if it will help but I at least would like to know if it still exists in the game. the daily has not been available to me for almost a month. getting extremly frustrating. have complained to blizzard about this, for all the good it will do. Pebble is extremely effective in the Darkmoon pet battle. Set up with Quake and Rupture, rotate him in against the Tonk (elemental is strong versus mechanical), and Quake (hitting the Monkey with a strong backline attack. Rupture can stun the Tonk, too. Often, by the time the Tonk is down the Monkey is around 400 life! An adventurous little elemental, Pebble escaped hungry gyreworms in the Crumbling Depths, braved the emptiness of the Twisting Nether, and ultimately found himself rescued from a mailbox.